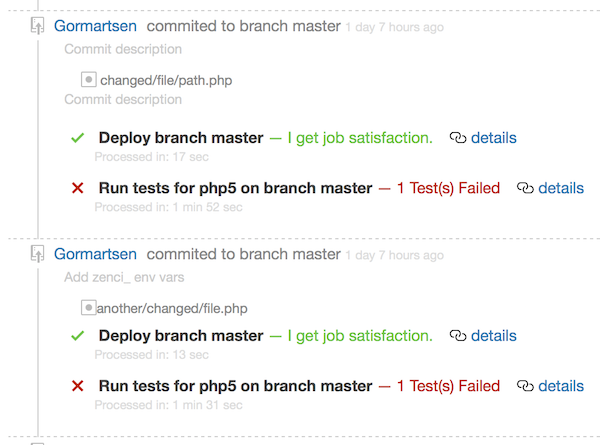 You can see all code activities in your repository timeline. Easy to track and detailed enough to be on pulse. 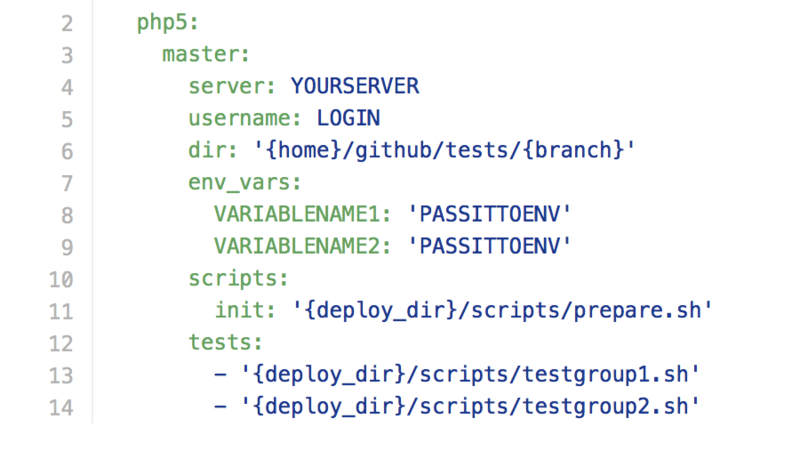 Our detailed deploy and test log allow you focus on important and have full log when you need it. 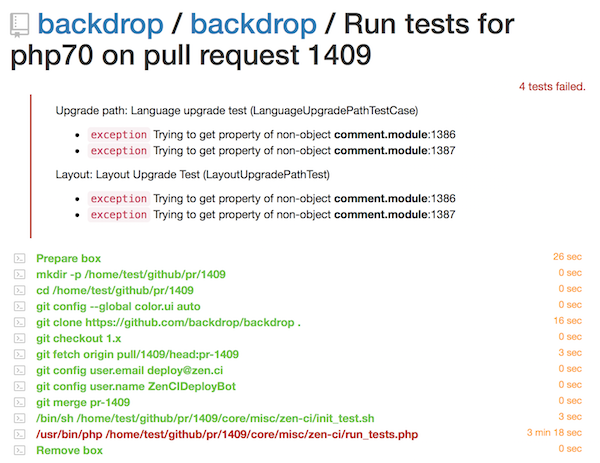 We provide callback URL with token to post custom github status message and summary for your deploy and tests result. You are not limited to use only our test boxes. Setup your own test environment and just let ZenCI know where to upload your code. SSH access required.